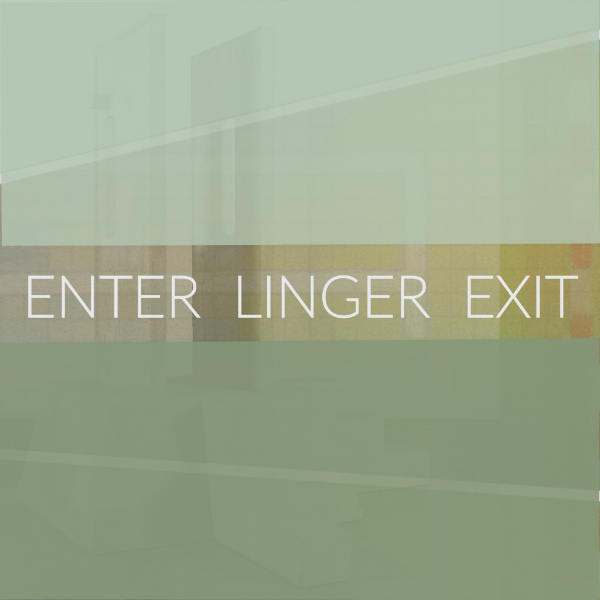 Tiger Strikes Asteroid is pleased to present Enter Linger Exit, an exhibition featuring the work of Amira Pualwan, Matthew McLaughlin and Stella Zhong. The artists were chosen individually from a pool of nearly 300 applicants to our 2018 Open Call for a Three-Person Exhibition. The title of the show (derived from one of Zhong’s works) evokes the fictionalized architectural spaces each artist uses as a means to explore human relationships with constructed environments and the symbolism of place. The exhibition runs through Saturday, January 19. Please join us for an additional Second Thursday closing event on January 10 from 6-9pm.